Like many people, I read Jessie Burton’s incredibly successful debut novel The Miniaturist for my book group – for two book groups actually. I hadn’t really expected to like it, as it wasn’t a period of history I was particularly interested in, but I absolutely loved it! I was hoping for great things from her second novel and I definitely wasn’t disappointed. It is as stunning a read as its beautiful cover promises. Elements of the story are reflected in the cover and you can read a bit more about its design by clicking here. The Muse takes place over two time periods. It’s a turbulent time in 1930s Spain, with revolution on the horizon. Olive Schloss lives with her father Harold, who is an art dealer, and her mother Sarah. She is a talented artist but frustrated in her ambitions in a family where art is so important but where women aren’t considered likely to have artistic merit. Her mother commissions local artist Isaac Robles to paint a portrait of herself and Olive as a gift for Harold. His sister Teresa also works for the family as a maid. These two will have an important effect on the Schloss family in many ways. In 1960s London, Odelle Bastien is also trying to find her place in a not entirely welcoming city. She is from Trinidad, struggling to find acceptance and a job reflecting her ability. After some years working alongside her friend Cynth in a shoeshop, she is offered a position at an art gallery under the watchful eye of the glamorous Marjorie Quick. When her friend Lawrie brings a painting to the gallery to be valued, it provokes an extraordinary response in Quick. What does she know about the painting and what is her connection to the artist? 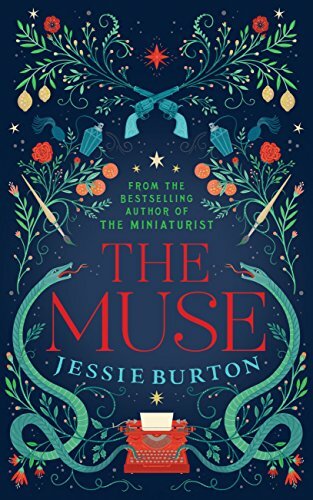 As you might expect from a book concerned with art and painting, Jessie Burton has written a richly detailed novel. The Spanish physical and political landscapes are evocatively portrayed. The paintings are so vividly described I felt I could visualise the colours, the brushstrokes and the finished paintings. The London which Odelle experienced was also perfectly conveyed, from the heat of the summer to the prejudice she experienced as a black woman. Both storylines were strong with the end of each section leaving me wanting more, only to be immediately immersed in the other narrative. The author is skilled at gradually revealing the story in a way to surprise you and make you want to keep on reading as you try to understand what has been happening and what the connection between the two narratives is. I can see this book being just as successful as The Miniaturist and rightly so. It is full of strong female characters who are striving to find acceptance as women and also to have their talents recognised. Only when the two storylines are expertly brought together at the end can you truly appreciate the full story – or should I say the full picture? A wonderful book about secrets, love and ambition. Sounds brilliant, this is next up on my TBR! Will watch out for your review. Hope you enjoy it too!